Home > About Massey > News > Could blueberries reduce the risk of breast cancer? Could blueberries reduce the risk of breast cancer? 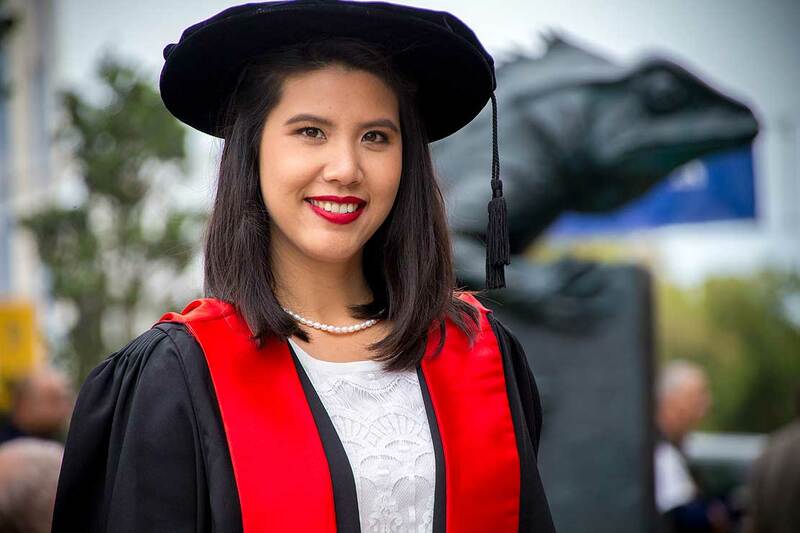 Dr Janyawat Vuthijumnonk graduated with a PhD in Manawatū today. In New Zealand, breast cancer accounts for more than 20 per cent of all registered cancers, and is the most expensive to treat. Now new research from Massey University PhD graduate Dr Janyawat Vuthijumnonk suggests the risk of breast cancer could be reduced through increased consumption of blueberries. During the study, blueberries were given to animals in either a liquid form or as a pomace (fibre included) supplemented diet form. Dr Vuthijumnonk says animals that consumed blueberries as part of their diet had a 50 per cent lower incidence rate of mammary tumours. The 35-year-old, who hails from Thailand, would like to do further studies on the combined effect of blueberry consumption and traditional medicine. She also suggests the fruit should be investigated as a post-surgery supplement for breast cancer patients. Does New Zealand need a Māori cancer control strategy?